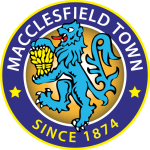 Macclesfield vs Crawley Town predictions as they meet in League Two on Saturday. Will new boss Sol Campbell be able to lead the hosts to a vital three points? Read on for our preview of the match and all our free betting tips below. There is plenty of attention surrounding the form of League Two strugglers Macclefield Town at the moment following their appointment of former England, Arsenal and Tottenham defender, Sol Campbell a few weeks ago. Campbell has openly discussed his troubles of being able to break into management in the past but he has the opportunity to prove his doubters wrong and this weekend his Macclesfield Town side welcome out of form Crawley Town to the Moss Rose Ground. If Sol Campbell is to lead his new charges to safety then there is no doubt that he will have done an excellent job as Macclesfield Town are bottom of League Two. The Silkmen go into this weekend’s clash with Crawley Town 13 points behind their visitors, despite winning two of their last three games. Campbell’s side have made plenty of improvements in recent weeks but their main area of improvement has been at the back and in their last three league matches, they have conceded just a single goal. 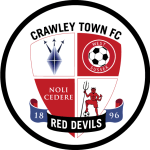 Crawley Town’s satisfaction at beating Crewe Alexandra 3-0 quickly dissipated when they slipped to a 1-0 reverse at home to Northampton Town. Added to the fact that the Red Devils have lost four of their last five matches in League Two is the fact that they have also lost five away league matches in a row. A major part of their inability to avoid defeat on the road is down to their poor scoring record away from home and they have scored an average of just 0.67 goals per away game this season. The form of Crawley Town away from home might have you reaching for a home win on your Saturday accumulator, but it is worth bearing in mind that Macclesfield still have the worst home record in the division. We think that a far more secure way of going about things can be found in the goal market, as Macclesfield are concentrating on building from the back and Crawley are hardly at their best when in front of goal away from home. With this in mind, we think that backing there to be less than 2.5 goals scored is the way to go in this fixture. Macclesfield have conceded at least one goal in 90% of their home matches. 69% of Macclesfield’s points have been earned at home. 75% of Macclesfield’s goals have been scored in the second half. Macclesfield have conceded the opening goal in 76% of their matches. Macclesfield have lost 67% of their matches. 74% of Crawley’s goals have been scored in the second half. Crawley have lost 78% of their away matches. Crawley have scored 33% of their goals after the 75th minute.